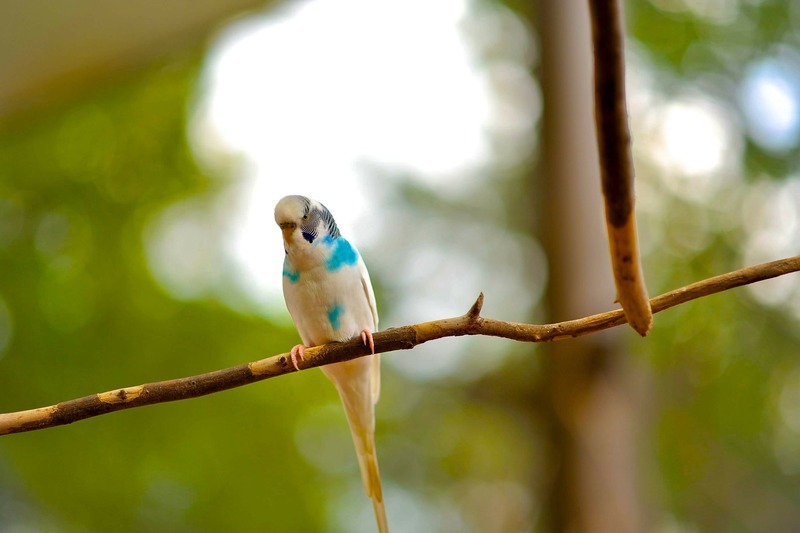 Budgerigars, also commonly known as parakeets, are small parrots with a big personality! Originally from Australia and once only present in green and yellow with a slight bit of blue, the breeding of these birds has led them to become larger in size and much more diverse in color. “More than 100 mutations in colour have been named by budgerigar societies worldwide,” per birds-online.de. In fact, there aren’t many colors that can’t be found in today’s captive bred budgie…blue, white, turquoise, cinnamon, gray and other colors are readily available. If you are looking for a larger bird than your typical pet budgie, there is a variety called the English budgie which is much more stocky. They are often bred for show and their life span can be a bit shorter than your typical parakeet. 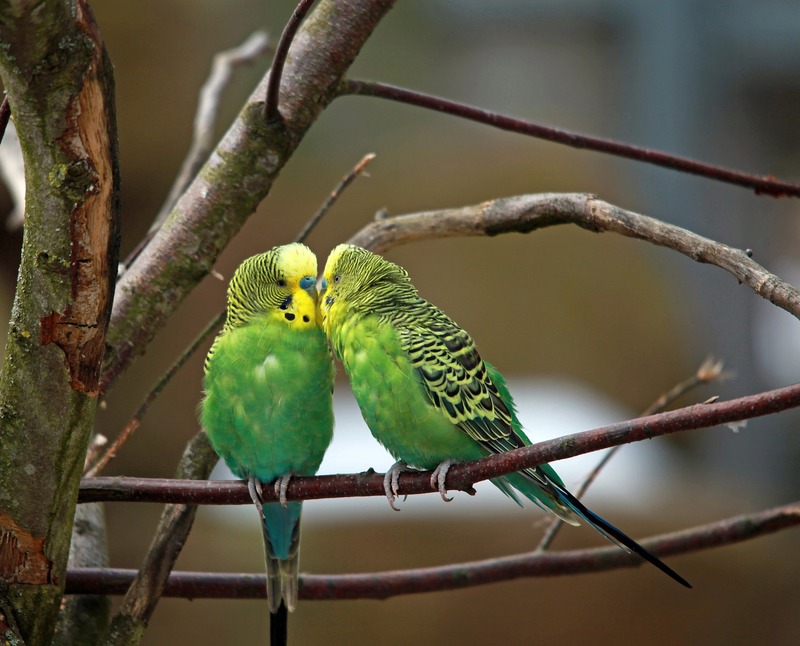 Along with their charming appearance, budgerigars have a great capacity to learn. Budgies have been recorded as having the largest vocabulary in the parrot world! Males tend to be more talkative, but females still make great pets, and both of them do make at least some chattering noise throughout the day. Also, both sexes can learn tricks, basic handling behaviors, and flight maneuvers (like fetching an object and returning it). They are able to recognize their names and the people around them. Although parakeets are small and their cages don’t take up a lot of space, they do require regular care. Their food and water containers must be changed daily, and seed is often tossed about as they eat, resulting is at least some every day cage cleaning. In addition, their cages must be completely cleaned weekly to keep their environment neat and prevent unsanitary conditions. As budgies are very active, their cage should include various perches and toys, and all of these items should be included in cleanings. 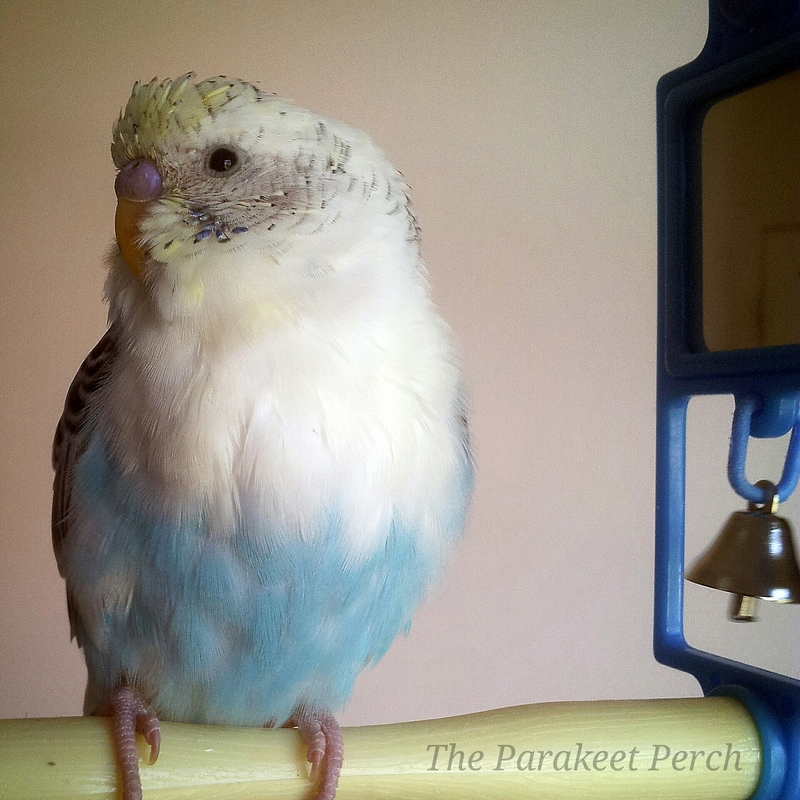 Budgies also poop often, and it doesn’t always land in the cage! This requires some thought as to where a cage is placed, so the surrounding environment remains as clean as possible. In addition to cleaning, budgies require vet care and regular grooming. Yearly check-ups by an avian veterinarian are ideal (a list of them can be found at http://www.aav.org/). Regular nail trims and wing trims (if you choose to do that) are also necessary, along with beak maintenance. The latter can often be avoided by giving your bird something harder to chew, like a mineral block or cuttlebone. As mentioned before, budgies are active and can make very engaging companions! They love various toys, mirrors, shreddable items (such as wood kabobs), and swings.Hence it’s great to include several toys in a budgie’s cage, taking care to switch them out on occasion so the bird often has something new to discover. This also requires a large enough cage, then, to house a bird, food dishes and various toys! Dimensions of 26″ W x 14″ D x 20″ H are ideal. Click here for a link to our favorite cage, the Prevue Hendryx just for budgies!!! 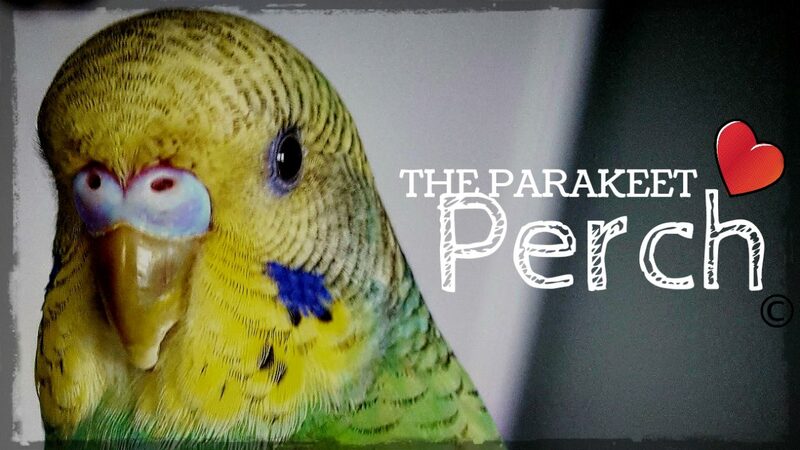 If you are considering adding one of these awesome little parrots to your family, check out this video which covers information on what you can encounter if you have a pet parakeet! CLICK THE IMAGES BELOW TO SHOP FROM THE ITEMS WE HAVE HIGHLIGHTED! Honestly, I have never heard of that behavior. It could be connected to nesting, if it happens during breeding season.